Finally, the long wait is over as one of the most anticipated kick is set to hit the market soon. 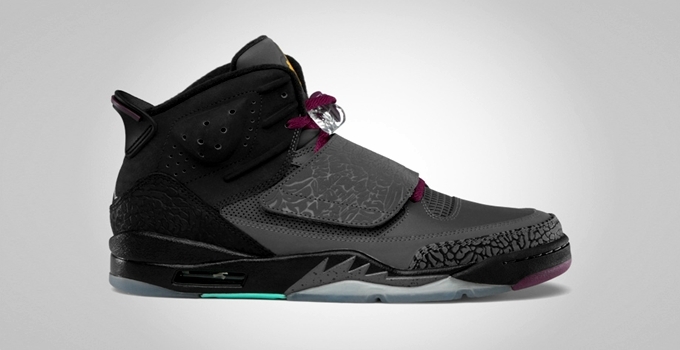 The Jordan Son of Mars “Bordeaux”, which has been getting noise since it surfaced a few months ago, will be available this September 15, Saturday. Dark grey color dominates the upper part of the kick with Bordeaux laces and yellow brandings that sits on a translucent outsole that has a shade of green. Get this impressive kick this weekend for just $160, which is reasonable enough because of the super sneaker that you’ll get. Don’t dare miss it!